It was good with a solid material. It was bulky so it was nice to order the net. This review is about item#2446482. It's thick, but in half a year some of it has become ragged. This review is about item#2446507. This review is about item#02446482. It is a good item which is firmer than goods sold at mass retailers. This review is about item#2446516. It's awkward but it's like prices. It is inexpensive because it is cheap. This review is about item#2446437. 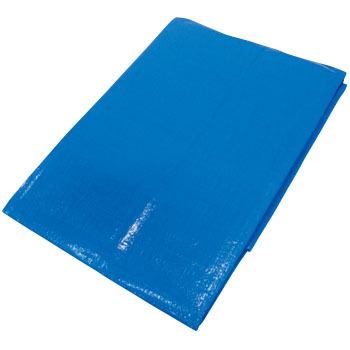 It is used for preventing water wetting. # 3000 is very thick, it was overspec for this application, but the thing was good and the price was very cheap. This review is about item#2446403. It can be relieved because it is thick. I think that it can be relieved because the eye is easier to fix if the eyes are slightly finer. This review is about item#8743725. It was a more solid product than I expected. I think there is no problem. This review is about item#2446394. Although the price is cheap, it is smarter than what you purchase at the home center. This review is about item#2446421. Keep it in reserve of rain fortune such as sudden heavy rain. Because it is cheap, it is saved. This review is about item#02446403. I use it for the roof of the garlic drying room. I do not know if I try to use durability in the future, I hope to be able to use it for about 3 years. This review is about item#2446534. When dyeing hair, I lay newspaper so as not to contaminate the floor, but cleaning up was troublesome. I found a blue sheet of a size that is just right for a monotail and it made it possible to efficiently dye the hair. This review is about item#02446394. Compared with other manufacturer's things, the price is also cheap and easy to use. It is handy for a little sunday rainfall. It is helpful to pass eyes and eyelets and attach a carabiner. There is no particular problem. The rest is durability. The price is cheap. This review is about item#2446412. It is easy to handle with an appropriate size. Easy to fold, suitable weight.